Our expert has recently visited City Glow and got a few amazing services! 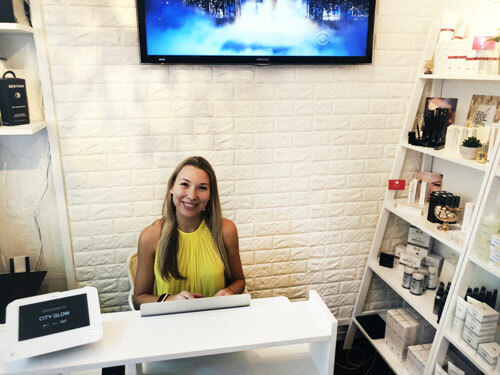 Since we love doing facial every week, depending on the skin needs, we came to try City Glow signature service which is a perfect service to do for a special occasion or just treat your skin for your great mood! 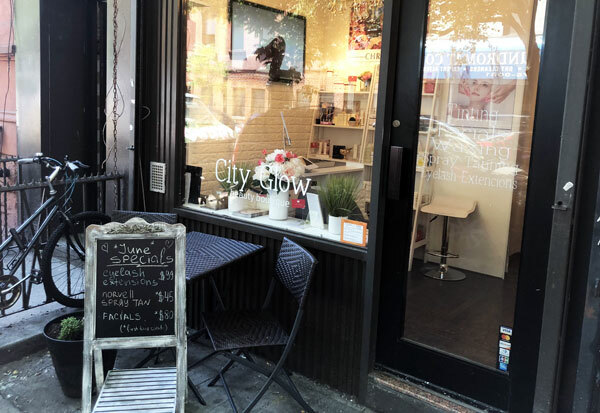 City Glow esthetician use Cristina (professional brand) for their skin services which we already tested a few years ago and fall in love with quality! Svetlana – You did Red Carpet Facial for expert please tell us more about it! I did City Glow – Red Carpet Facial because it makes face to start glowing, it also facial for sensitive skin. I don’t use aggressive ingredients, no peels get involved. All secrets are in silk fibers and proteins that penetrate into the skin and reinforce natural collagen matrix for an absolutely flawless skin. 2. Soothing Exfoliator enriched with natural Papaya Carica, anti-oxidants, gently removes the skin’s outer layer while breaking down free radicals, without causing redness. 3. Alchohol free active toner balances ph levels and leaving the skin even-toned. 4. Base cream mask increases blood circulation and maintains optimal skin temperature to enable maximum absorption of active ingredients. Our is Silk Fiber creates a supportive layer to instantly lift, smooth, and strengthen the skin natural structure. 5. Multivitamin and antioxidant enhance the effect of the silk fibers by boosting the production of key enzymes and infusing the skin with essential nutrients and rejuvenate skin. While doing face massage I go through every muscle in your face to make sure that it gets awake and stronger. Massage is a big part of this facial. 6. Remodeling mask cools and calms the skin, making sure that all previous steps got and penetrated deep into the skin. 8. Silky serum provides the perfect finish for a smooth, flawless skin. Hydrating, improving blood flow and promoting healthy cell regeneration. How often can your clients get Red Carpet Facial? Once per month. City Glow treatment best results are seen after 6 – 7 treatments. The Facial promotes healthy cells growth, 25% reduction in fine lines with home products, increasing the formation of collagen and elastin matrix. What kind of post care is needed after the red carpet facial? No post care is needed, just avoid exposing skin on the sun for too long. What’s your personal beauty tricks for glowing skin? The most important and my trick for glowing skin is speeding up cells turnover. We all know about body metabolism and we eat vegetables, your skin also has metabolism and it calls cells turnover and we need to feed it with fruit which is acids – peels. What’s your must-have beauty services and why? I love peels this is my secret and even if you have sensitive skin you still need to stress out it time to time. Another way it became lazy and more sensitive. The balance is the most important words in your skin routine. You always need to put SPF protection and avoid the sun. This is the most important for me and for anyone who wants to have glowing healthy elastic skin. Do you believe that healthy looking skin coming from a healthy lifestyle? I do believe that beautiful skin coming from a healthy lifestyle and from hard work on it:) You need to take care of your skin if you want it to glow. Once a month facial is very important and your skin will say thank you in 5, 10, 15… years. I always explain to my clients look at there skin routine as we feed her. We need to eat 3 full meals in a day, our skin only twice morning and evening and the facial appointment is similar to go to the restaurant. 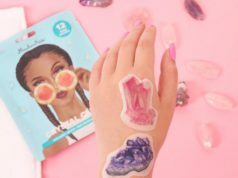 Our expert reported the immediate result, the skin was beautifully glowing and she didn’t need to put on a foundation after that for her special girls night out event.